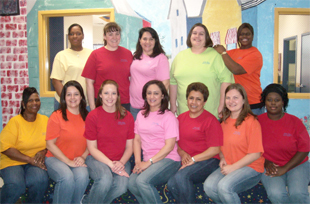 Willow Bend Learning Center was established in 1998, offering full day and part time childcare for infants through kindergartners. Through the collective learning and experience of our staff, as well as the parents who bring their children to us, we have been successful in creating an environment where your child can get the best possible care coupled with an atmosphere of creativity, learning, and fun. It is important to us, as we are sure it is to you, that your child gets overall enhancement in all areas of activity. During the hours your child is with us he/she is part of a warm and nurturing extended family, and is treated with a lot of love and care. Our focus has always been on low student/teacher ratios and personalized attention.